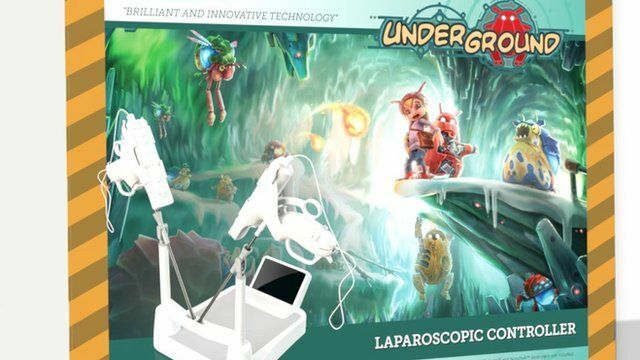 Underground is a game in which players guide a child and her pet robot out of a mine. Players use adapted controllers for the Nintendo Wii console that mimic the tools used in surgery - and those who perform well in the game also do better in tests of their skills. It was created by Dr Henk ten Cate Hoedemaker, who tells BBC's Horizon how it helps keyhole surgery in the video above.